Tonic is assembled without screws or the use of tools. 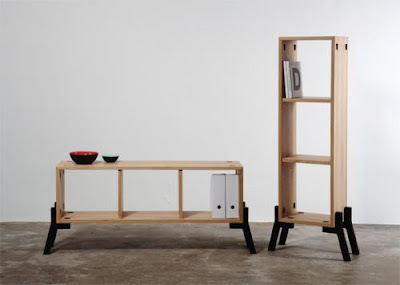 Tonic can be used in two different positions; horizontal as a Sideboard, or vertical as a Bookcase. To achieve this change the legs are simply taken out of the sockets and replaced in the desired position.